A multi-purpose wetting agent that improves spray coverage in soil and on plants and increases the speed of moisture penetration in soils and growing media. Additionally, it reduces the surface tension of spray nozzles and irrigation systems, helping to maintain cleaner lines and drippers. 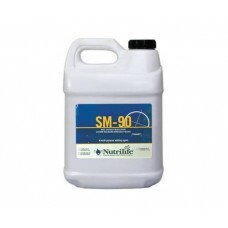 SM-90 is a non-toxic, biodegradable, and environmentally friendly product.